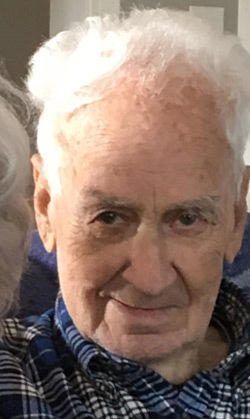 FRISCO — Mr. Robert B. Bates passed away suddenly Friday, March 15, 2019 in Frisco, NC. He was 92 and preceded in death recently by his wife, Doris. Robert was born in in Oklahoma. He was a retired Naval officer who served his country bravely in World War II. He also completed law school and was a practicing civil service attorney form many years on the Washington, DC/Maryland area. Robert loved to dance and particularly enjoyed country music- his favorite was “Faded Love” by Bob Wills. Robert Bates is survived by his two daughters, Rhonda Bates (Wes) of Frisco, and Carol Wilson (Ron) of Ocala, FL as well as a dear friend Donna C. Hayden of Avon, NC. The family will honor Robert’s wishes and forego memorial services. Memorial donations in Robert’s memory are being gratefully accepted at the Dare County SPCA.